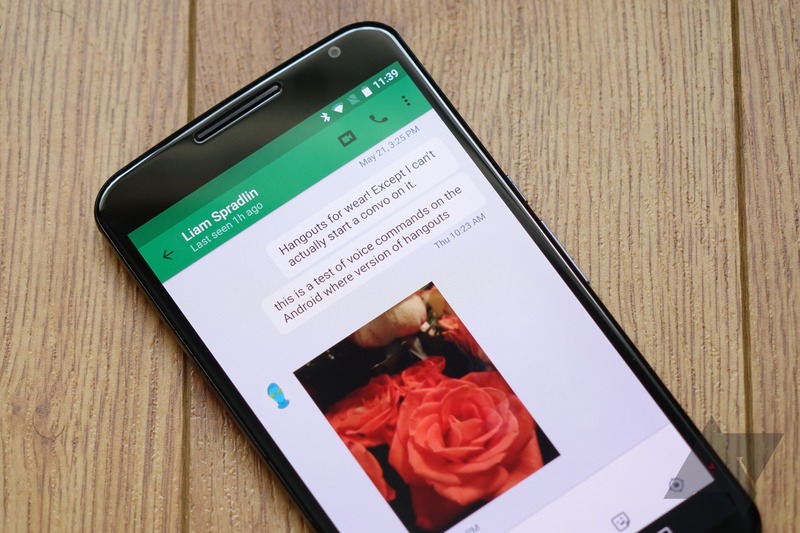 [Weekend Poll] Do You Use Hangouts For SMS And / Or MMS? I won't beat around the bush: there's a rumor Google Hangouts may lose its originally much-demanded SMS and MMS capabilities. Google's potential reasoning aside, this is very obviously a user experience concern for everyone who makes use of Hangouts on a daily basis. Even if you don't use Hangouts for SMS or MMS regularly (or ever), the fact that it can do these things may well be a reason to stick with the service in favor of other, competing messaging platforms. But if Hangouts loses its SMS/MMS powers, that's undoubtedly going to definitely not go over well with anyone who uses it for... those things. And it's not hard to see why. This weekend's poll is about your use of SMS/MMS capabilities in Hangouts, specifically: do you use them? Often? Vote and discuss in the comments below. Do you use Google Hangouts for SMS/MMS? Yes, I use it as my primary phone number's SMS/MMS client. I use Hangouts SMS/MMS, but only for my non-primary number (e.g., Google Voice). I use Hangouts, but not the SMS/MMS features. I use Hangouts very rarely / don't use it at all, and same for the SMS/MMS features.